Why settle with 20% close rates when you can do more? 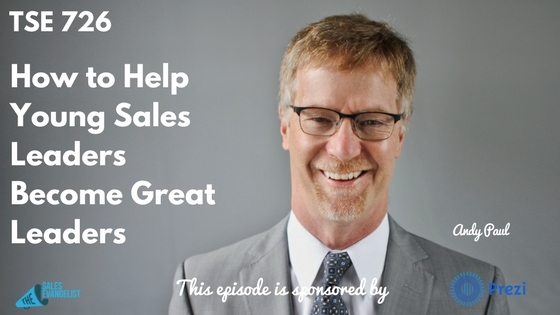 Today’s guest is Andy Paul and he shares with us ways you can help young sales leaders become better and more successful. Andy Paul was here on the show back in episodes 359 and 364. Since then, he’s been doing some unique stuff working with SaaS companies. He has this passion to help people continue to grow in a changing environment. Andy also hosts his own podcast called Accelerate! 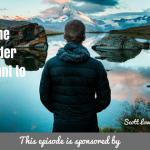 with Andy Paul, where they cover a whole lot of content around leadership, marketing, and sales to help serve people holistically. Now, there is a need for a customer-centric, performance-based sales culture. 1. Understand each step of the process. Understand how people make decisions and how they’re influenced. Pay attention to training sales reps to understand so they can optimize the value of every interaction they have with prospect. Understand each step of the process that brings the customer closer to making a decision. 2. Focus on serving customers. Focus on helping and serving customers to help them move from stage to stage in the buying process. 1. Train people how to really qualify prospects. Andy thinks qualifying prospects is more a problem of the AEs, not the SDRs. As a manager, coach your account executives and sales development reps as to how they make decisions and how the evaluate and process information. Do one-on-one sitting with them. It’s okay to close deal but a decision has been made, rather than having a pipeline ending up with no decisions. When the customer does nothing, that’s the worst that can happen. And this starts with really qualifying the prospect. 2. 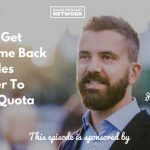 Re-qualify your prospects every time. You have to qualify your prospect in every step of the process. Over time, their needs change. They become smarter and more educated. You have to continually re-qualify them to make sure they’re still the prospect for you. Prospects don’t have the incentive to tell you to go away. So you have to ask. It’s human nature for people to want to see causation where it doesn’t exist. So we take a superficial look at data. Infographics can be misleading since you don’t know the variables in creating the data set. It only has value when the study you looked at consists of all companies of the same size, same type of products, or have customers of the same size. We confuse correlation with causation. And we let our information biases interfere with our conclusions. Take nothing at face value. Don’t just go with the flow. Analyze what’s beneath the surface and look for the missing variables. What are you not seeing? Have that obligation to not take the easy route. Don’t just say yes to everything if it doesn’t align with your strengths or with your process. Successful professionals break the rules. Find a way to turn your people loose. Let them develop their own strengths. Let them break the rules a little bit. Then you can sort out who have the capability of succeeding. Be your own person. Be authentic to yourself. Find out what you’re really good at and what you can do even better. Break the rules a little bit. Connect with Andy on LinkedIn and Twitter @realAndyPaul. Shoot him an email at andy@andypaul.com or give him a call at 619-980-4002.